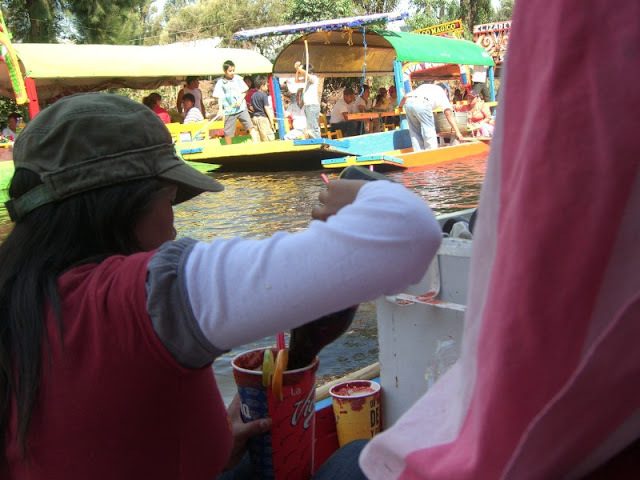 Xochimilco on a Sunday was all we hoped it would be - a barrage of color and sound as groups of Mexicans enjoyed a beautiful afternoon on the canals. Because there were only two of us, we didn't want to rent our own boat. 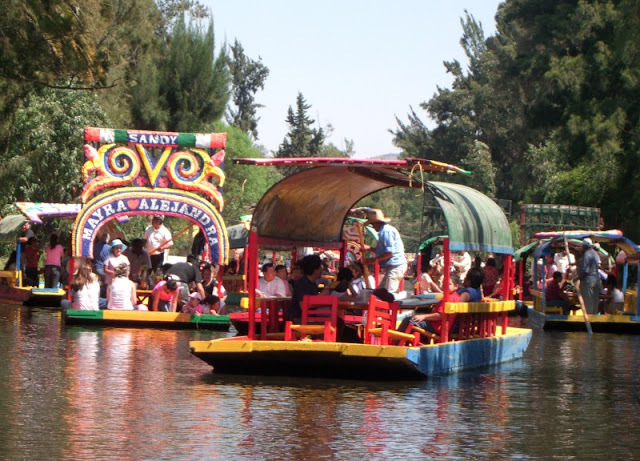 Instead, we took a lancha colectiva (a shared boat) from Embarcadero Salitre to Embarcadero Nativitas. At only 10 pesos per person for a roughly half-hour ride, it was a great deal. 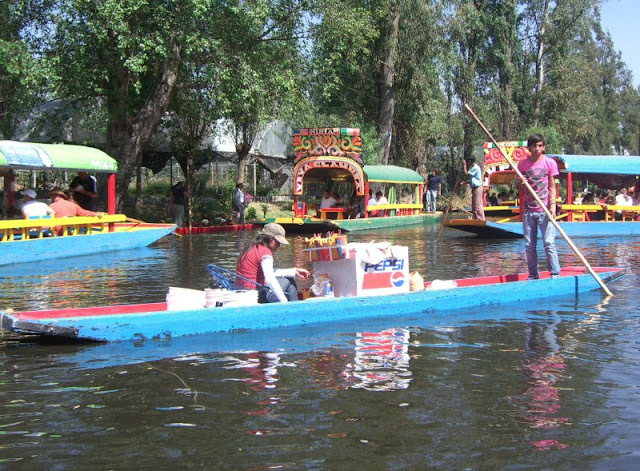 As you float down the canals, vendors in their own boats come by hawking their wares. This boat was selling cervezas preparadas (prepared beers). 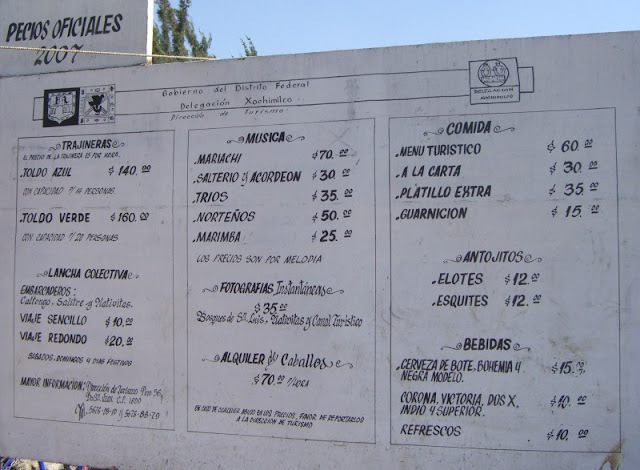 In particular, they were selling cheladas. 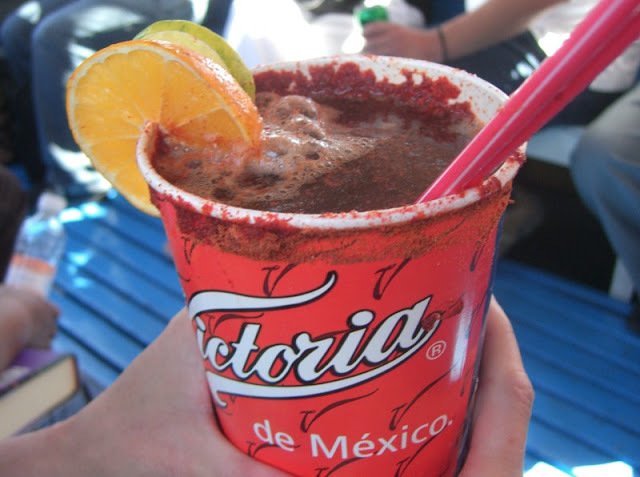 They have large plastic cups that they have pre-prepared by adding some lime juice and spreading chile salt around the rim. When you order, they take a large cold bottle of beer and dump it into the cup. This is the result. Tasty and refreshing. 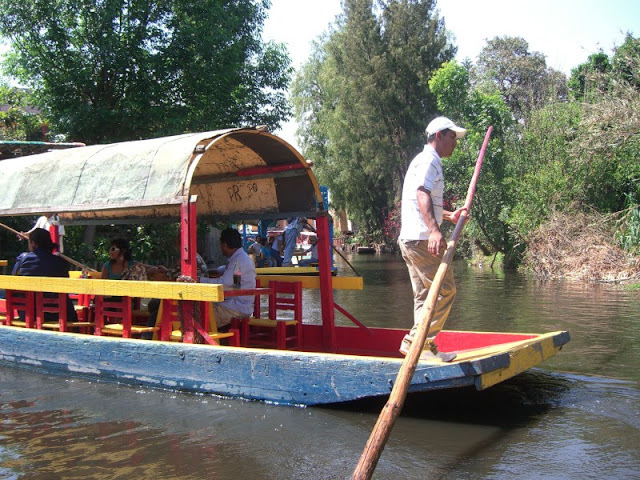 When we arrived at Embarcadero Nativitas, we had lunch in a restaurant called El Mirador overlooking the canal. 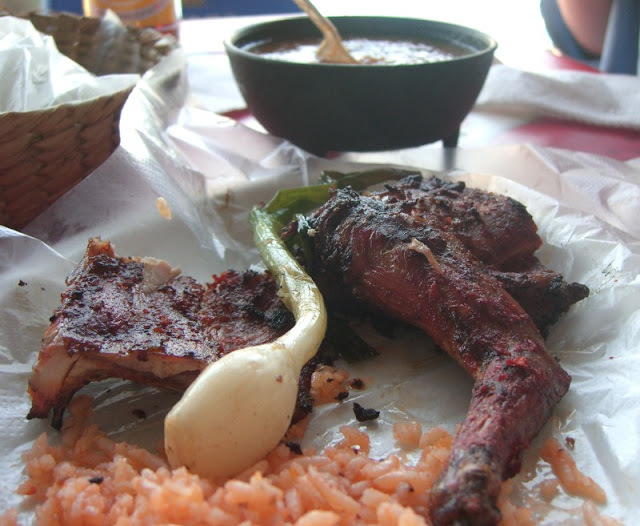 We had Conejo al Carbon (barbecued rabbit) and Barbacoa de Borrego (slow roasted lamb). Both were very good - especially the rabbit, which had fantastic flavor. This is the official price list posted at Embarcadero Nativitas. Man, I think I am gonna make some cheladas at home right now. You folks sure know how to travel. Maybe someday Lady Rowdy and I can follow in your footsteps. Sounds awesome. Great pics and stories. We were just talking about the cooking class again.